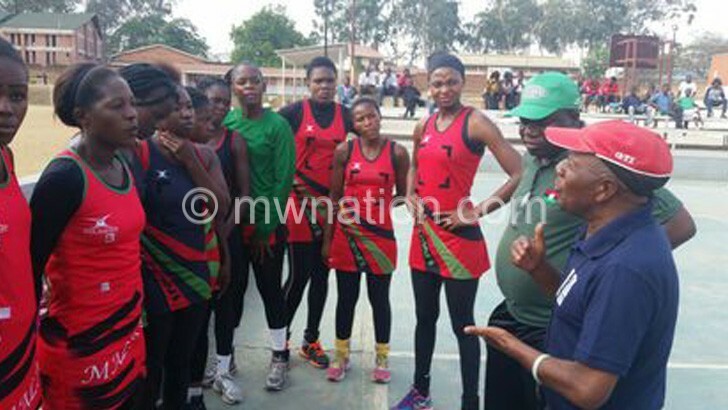 Malawi Queens’ coaches will continue to be hired on a part-time basis ahead of the Netball World Cup in July 2019 due to financial constraints. Malawi National Council of Sports (MNCS) executive secretary George Jana and Netball Association of Malawi (NAM) president Khungekile Matiya have confirmed that they would only be able to take on board a permanent coach after the next national budget in July/August 2019 when funding is available. But by that time, the Queens would have already competed at the 16-team global showpiece scheduled for July 12-21 next year in Liverpool, England, where they are tasked to improve their sixth international netball ranking. The performance of the national netball team has dwindled for the past few years with poor preparations cited as the major reason. Jana said the process of outlining the permanent coach’s scope of work is expected to be finalised in February 2019. “Everything regarding the process will be completed by February. However, we cannot guarantee that the permanent coach will be recruited at that point because, obviously, he has not been considered in the current budget,” he said. NAM president Khungekile Matiya admitted that the current arrangement of employing the coach on part-time basis affects the technical panel in terms of planning as they are restricted to short-term plans instead of coming up with long-term plans. “But I can assure the nation that the search for the permanent coach is at an advanced stage,” she said.